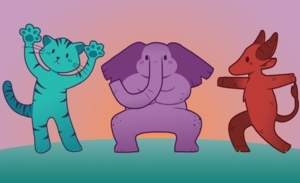 Sat, March 23, 2019 10:30 A.M.
Yoga instructor Beth Heed from Oak and Acorn Wellness will host a class filled with stories, yoga and fun for 2- to 5-year-olds and their caregivers. Move, play and explore your body in creative ways as we read stories! No prior yoga experience is necessary. Free! Wear something comfy. Some mats are available, or bring your own.